A complete and balanced dog food to maintain the health of junior dogs, aged 6 months to full grown. Popular with our customers and we receive plenty of great feedback! Contains only one meat source which gives great protein – 27% duck. Hypoallergenic and very easy to feed your dog - no need for other foods. The product is priced well, with better than average ingredients. Main Ingredient: Duck (27%), an excellent source of protein! Most pet foods have cereal as the main ingredient! Main Meat Source: The source of the duck is not given, but it supplies rich protein to the diet. Protein Amount: 24% of the diet is protein - suitable for junior dogs. Product Aim: To maintain your pet's health, with added prebiotics for healthy digestion and omega 3 for a glossy coat. Allergy Benefits: Hypoallergenic! Also contains a single meat source and doesn't include ingredients that commonly cause reactions. Is it a natural product? Yes; made with all natural ingredients - No artificial colours, flavours or preservatives. Does it include any additives? The only additives used are natural and added for your pet's health; vitamins, minerals and antioxidants. Wind, bad breath, fur & teeth benefits? Added omega 3 fatty acids for a healthy coat. Prebiotics, yucca extract and rice (27%) in the diet help limit wind. Dry food helps ‘clean' the teeth to avoid bad breath and teeth. Can I only feed this one product? Yes, it is a complete and balanced food, but give fresh clean water in a bowl at all times too. James Wellbeloved Duck & Rice Junior Dry Dog Food is a complete and balanced hypoallergenic diet; made for feeding junior aged dogs (aged 6 months to full grown) that have an expected adult weight of over 10kg. It is made with all natural ingredients, of which 27% is duck for rich protein and great taste. It is also made to support a healthly digestive system by added prebiotics, along with omega 3 for healthy skin and a glossy coat. Natural - All natural ingredients: no artificial colours, flavours or preservatives. You can just give the dry food (kibble) straight to your dog; no need to mix anything with it! Always follow the packaging feeding guidelines to know how much to feed. Rice, duck meal, oats, whole linseed, duck fat, duck gravy, alfalfa meal, natural seaweed, sodium chloride, chicory extract, omega oil supplement, potassium chloride, calcium carbonate, yucca extract. Minimum Levels: duck (27%), rice (27%), oats (7.5%), linseed (3%), duck gravy (2%), alfalfa (1%), seaweed (0.5%), yucca extract (0.02%), chicory extract (0.2%). I have tried my dog on various wet foods yet JWB dry kibbles are best for his delicate tum. This is great value, no artificial ingredients that would upset your dog's health. My dog is glowing- a lovely shiny coat, fresh breath and bounds of energy, I am very happy and will continue using this food. My Sandy has generally been quite fussy with food yet she loves JWB and gets very excited at feeding time. The duck flavour is her favourite after trying her on the fish and lamb flavours and this food keeps her skin and coat in a great condition. Highly recommend. We were concerned about our dog constantly nibbling her irritated skin. After speaking to our vet we were recommended James Wellbeloved for its hypoallergenic content. And I am very glad we did change to this food- our dog's skin is in a great condition with no more irritation, and her coat looks shiny instead of dull. I have now been feeding our dog this food for over a year and have had no problems. My dog never refuses to eat this food and there have been no adverse effects. It is great if your dog is sensitive to other dog foods because it is hypoallergenic and I have had no problems for all the years I have been using this food. Reasonably priced considering its high quality content. I first brought JWB a couple of months ago as I thought Sam my dog was getting a bit smelly and I have heard that switching food can solve the problem. Well I can vouch for that- no more smelly wind or breath and the bowl is completely finished at dinner time so Sam clearly enjoys it. I like having the food delivered monthly to my door and PetShop offer really great deals and prices on JWB so be sure to stock up while prices are low! I used to buy smaller bags from a local store yet it is much more cost effective to buy bigger bags in bulk from petshop.co.uk. They have a great bottomless bowl service so the food gets to my door every month and my dog gobbles it all up. Clearly very tasty and I am satisfied he is receiving a high quality diet. A very happy and healthy dog overall. No tummy problems, itching or weight issues, JWB is a good all-rounder full of healthy ingredients that ensure our dog remains in great health. I've been feeding my dog JWB since he was a pup, it is a great food which my dog really like and I am satisfied that he is receiving lots of great nutrients from this food's all natural content. He eats it all up like a treat and the food was delivered very quickly on bottomless bowl. People always comment on how healthy and strong Marley looks and this is all down to her healthy diet. 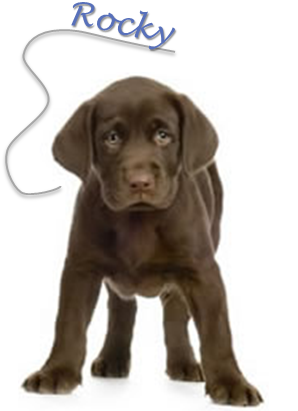 JWB is a natural dog food with no artificial ingredients which might make your dog hyper and misbehave. Marley is full of energy and this bag lasts over a month so great value for money. It is a very gentle food on her stomach and I agree with everyone else reviewing how great this brand is!